In this fast paced world, cooking processes also have to be faster and simpler so that you can cook the food in time and spend the remaining with your loved ones. There are several kitchen appliances which have been designed to simplify your cooking tasks and save your time. One of the essential kitchen units is the fryer. 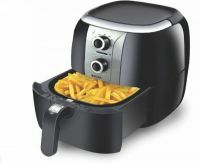 The fryers are very useful in cooking fried items like French fries, fried chicken, potato wedges, etc. You can find a wide range of fryer units from various brands and the online stores on DealsCorner. You can search the product, compare the prices offered by the online stores and then choose the fryer at the lowest price available all over in India. There are majorly two types of fryers like the deep fryer and the air fryer. 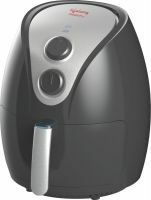 The air fryer uses the hot air and heater to cook the food in minimal oil content, reducing the fat content. 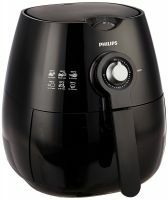 The deep fryer uses more oil and includes a lot of fat content. 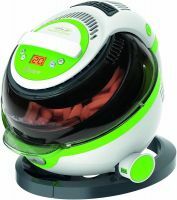 In air fryer, the heat is supplied from top and bottom side of the appliance by which the heat is distributed on all sides of the food to cook the food appropriately. 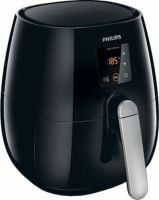 Due to the double side heat effect, the frying process in the air fryer is faster compared to the conventional method of cooking. Deep fryers are suitable for cooking quality food in quantity. The food is immersed in the oil in the frying process which can contain high levels of fat. 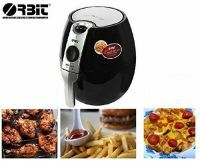 Whether you choose the deep fryer or the air fryer is totally your decision, but while shopping for the fryer, you should ensure that the fryer has all the necessary features fryer basket, number of baskets, safety features, temperature control, the size of the fryer and convenience of use. The capacity of the fryer is one of the important aspect to ensure because some of the fryers have single basket which is sufficient to cook for one or two people, but if you have a large family then you would need multiple baskets or a large fryer. Apart from the baskets, it is also necessary to check the number of compartments in the fryer so that you can cook two dishes simultaneously like the chicken and French fries. You should also check the safety features in the fryer so that you are not injured or burn yourself during the cooking process. Most of the fryers have lids and viewing window which prevents the oil from splashing and lets you see the food without opening the lid. Some of the fryers also have the power cords, which automatically disconnects if the fryer is jostled. Almost all the latest fryers have the temperature control by which you can define the level of temperature you want to cook. Some of the models have digital pads using which you can define the temperature. You need to also check the size of the fryer whether it is sufficient for your family and the cleaning options. Check all the available models before choosing the fryer. 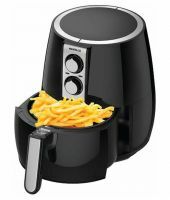 You can find fryer from any local store or mall, but most of the stores do not have complete range of models. At DealsCorner, you can find a wide range of fryers from almost all major brands and online stores available in India. Search the fryer of your choice, use the search filter, compare the prices offered by the various online stores and then choose the product of your interest. Enjoy your shopping and keep posting your reviews.